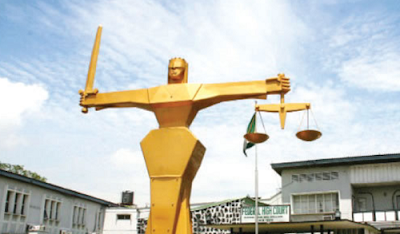 The police on Wednesday arraigned a Junior Secondary School 3 pupil in a Wuse Zone 2 Magistrates’ Court, Abuja, over the alleged kidnap of eight-year-old Innocent Sani, his cousin. The prosecutor, Mr. Kufreabasi Ebong, alleged that the defendant kidnapped Sani on December 18, 2017. The prosecutor said the defendant, 18-year-old Ebenezer Istifanus, demanded N40m ransom, but was paid N160,000. He alleged that the defendant enticed the boy out of the custody of his guardians, the News Agency of Nigeria reports. He said the offence contravened Section 273 of the Penal Code. Istifanus, however, denied committing the offence, saying he was wrongly accused. He said he was a Junior Secondary School 3 pupil of Government Science School, Wamba, Nasarawa State. The defendant said he was fixing electrical faults in the shop of a former neighbour when he was arrested by men of the Nigeria Police Force. The magistrate, Mr. Emenisi Ebiwari, described the case as “delicate” because it involved members of the same family. He ordered that the defendant be remanded in police custody and adjourned the case till February 1, 2018, for further hearing.